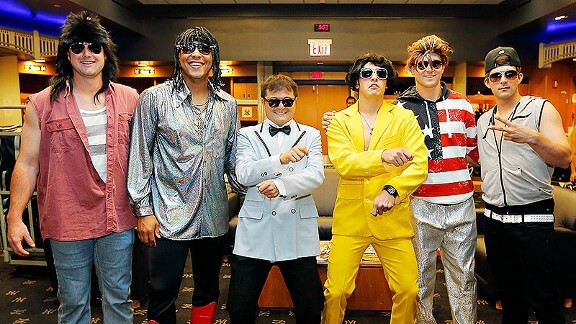 The Colorado Rockies did a little rookie hazing this afternoon following their game against the San Francisco Giants. Notice the well placed smartphone on third basemen Nolan Arenado’s, um, lap. Carlos Gonzalez wasted no time posting to his Twitter account. Baltimore Orioles first baseman Chris Davis managed a near impossible feat last night by pitch fouling a ball off the ground, then off his knee and into his own jersey. The sinker was toss by New York Yankees starter C. C. Sabathia. Baseball players had plenty to say during Thursday night’s 2013 NFL Kickoff match between the Super Bowl Champion Baltimore Ravens and the Denver Broncos. Whether it was anticipation and snarking during the lightning delay, bashing Ryan Seacrest (too easy) or watching their fantasy football teams get shredded as Peyton Manning tied an NFL record with seven touchdowns, baseball’s tweeps did not disappoint. Like the rest of Twitter, lots of action during the pregame delay and as Manning started racking up fantasy and real points. 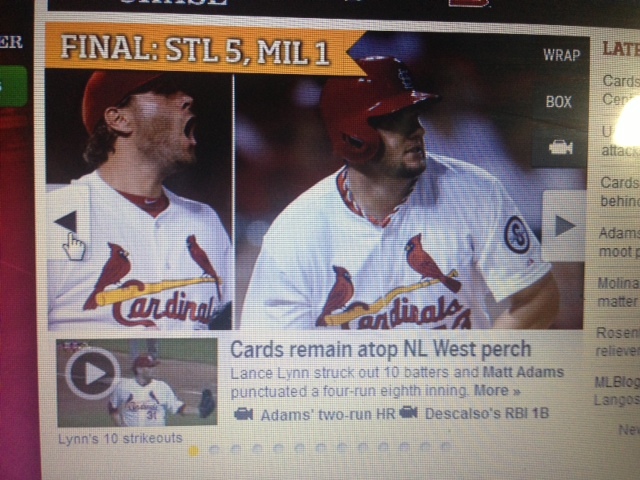 Timeline from pregame to post-game. READ THE COLUMN HERE!